Simon, how did you get started in the journalism game? When I was about 15 I used to watch Marine FC in the Northern Premier League. I did a couple of articles for their matchday programme which weren’t very good and the programme editor basically rewrote them, which I wasn’t too happy about because I didn’t understand the process. The Liverpool Echo asked if I wanted to have a go at writing the match reports, then after that, because of various cutbacks, I ended up taking over their coverage of Marine. Going to places like Stocksbridge and Frickley – big slag heap by the side of the pitch and a chicken farm behind one goal. Off the back of that I got a full-time job at Trinity Mirror and was sent to Southport. My first job there was to cover a UFO sighting, and I remember sitting in the car park thinking ‘I’m going to be here forever.’ Fortunately a job came up covering Everton’s matchday programme, then after two or three years I moved over to Liverpool, which was great in getting to understand how a football club works. Then I started doing matches for the Daily Telegraph, and in the meantime the company that did Liverpool’s programme wanted a book writing about Geoff Twentyman, who was Liverpool’s chief scout. I’d never even thought about writing a book and didn’t know how it worked, and I think I was asked because I was cheap. Off the back of that, I got the taste for doing other books – the first one I read and thought I’d love to do that for Liverpool was Andy Mitten’s ‘We’re The Famous Man United‘, which I think he executed perfectly. Then I went freelance, doing whatever books I like and covering Merseyside for the Independent. Covering Marine was the most invaluable experience of all, because it’s what I do now with Liverpool – it was all making contacts, developing relationships, writing. As a younger person it was quite an eye-opener. I remember getting barricaded in the toilets at Ossett Town when they’d been knocked out of the FA Cup, the FA Trophy and were second-bottom of the league. The Marine manager, Roly Howard, who was the longest-serving non-league manager in the world at the time, dispatched his assistant to follow me into the toilets and give me a dressing down for my reporting. He started shouting quite aggressively, but I stood my ground. A few months later the assistant got sacked, so I got quite a good story off him because he wanted to have a pop at Roly. Jurgen Klopp’s never locked me in the toilet…yet. I don’t think he cares. You’re a Liverpool fan – do you find covering the team you support difficult? What I really wanted to do was write, and it wasn’t just about following Liverpool. You can definitely separate things. I can honestly say, wherever I’m going – Liverpool, Everton, Man United – who I support doesn’t affect what I’m writing. It’s different when you go in a non-working capacity – if you’re with your mates and you’ve had a drink – but if you’ve got to do something on a professional level you can’t let partisanship bias what you do, because people will see through it straight away. Football fans are smart, contrary to the traditional perception of them. Quite quickly the worship of the club and the players goes away. Invariably now – and I don’t want to speak for everybody – you probably try and watch half an hour of the game, then you’re trying to think about what it all means, then quite often you don’t see the last 20-25 minutes of the game. It’s all about context as well – the art of match reporting has changed quite a lot in the last few years. It used to be a blow-by-blow account, but now people want context, what it all means. To deliver that on the final whistle, you’re hoping for a 4-0 win for either side, because you’ve got a bit of time to figure it all out. The last thing you want is a midweek game with a big turnaround. But reporting on those big games tests you – like the Borussia Dortmund game last season. The big challenge is to be able to interpret what it all means, and quickly. The person who captures that instantaneous emotion of it all, while not getting carried away, is the one who does it best. It’s difficult with Klopp now, because his style is very emotional, so it’s all becoming more emotional again. Anything can happen, so that alone makes it slightly more challenging. It’s my fourth football book. The first one (The Secret Diary Of A Liverpool Scout) I did when I was 23, 24 and I didn’t have a clue what I was doing. I read quite a lot of football books but obviously you want to create your own style. Looking back now you can tell it was a 23-year-old who wrote it with no editorial guidance. Then there was a gap of four years, until Red Machine came out in 2013. A lot of different things happened in that time – I’d been doing match reporting and had gained a bit more experience and understood what it was all about. Then there’s been one every 12 months from then, with Men In White Suits, and now these two – Ring of Fire and 61 Minutes In Munich. You spoke to a lot of the key Liverpool characters in that era for Ring of Fire. You explain this a bit in the introduction to the book, but how did you go about choosing the people to talk to? I thought the weakness of Red Machine was that there wasn’t a narrative between each interview – they were all standalone, and I wanted this one to feel like there was more of a link, more of a story between them. I also realised with this decade you’re also dealing with slightly higher-profile people. So I had to choose them a bit more carefully this time, and I wanted to get stories that people hadn’t heard before, because this decade is the most written about in Liverpool’s history. Everybody knows – or thinks they know – what happened between 2000-2010. I had an idea about Fernando Torres and how he felt [about leaving Liverpool]. I thought if I could get him to speak, it’d be worth doing, because it does put a slightly different spin on what people assume to be the truth. He was essential – I had to get him. 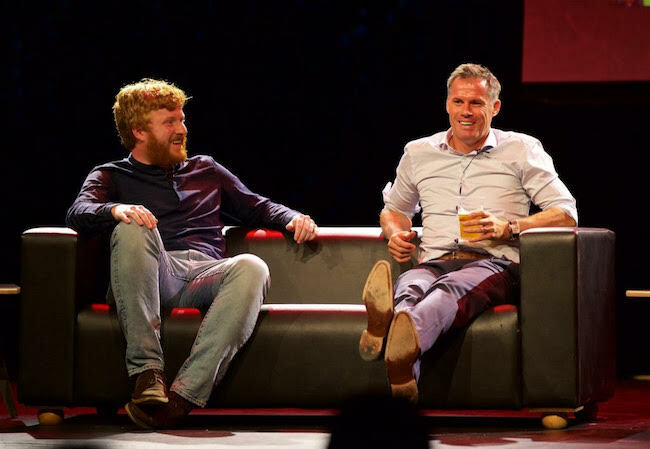 I didn’t really want to do both Jamie Carragher and Steven Gerrard, because everybody knows their stories. Then just as I signed the deal to do the book, Steven announced he was going to write his autobiography. I wanted this book to feel fresh, stuff people hadn’t heard before. Which is why I went to see Albert Riera in Slovenia – it was a bit random, but with a few of the bigger names around him, I could justify doing it. Rick Parry was another one – he hadn’t gone on the record about his time at Liverpool, and thankfully he’d read some of my other books so he understood what I was trying to do. I was quite surprised at just how open he was, because he was castigated when he was Liverpool’s chief executive, and quite a shy figure. That’s the stuff that makes it worth doing. I didn’t want it to just be like a trip down memory lane. I wanted it to be fresh material, to maybe make people feel and think a bit differently. The one I didn’t expect to be different was Michael Owen – I went there thinking ‘If this isn’t any good, I might not include it in the book’, but he actually gave me a totally different angle I didn’t expect, and made it one of the better interviews. The thing about Owen that intrigued me was that he was a Liverpool legend, and had he stayed he’d probably be the club’s all-time top goalscorer, but the way he’s now viewed fascinated me. There’s nobody in Liverpool’s history who has that sort of reputation – I know he was never quite loved by the fans in the way Robbie Fowler was, but he was still a big person in Liverpool’s history, but to be viewed as he is now, I just thought it was worth exploring. I knew his agent quite well, and I said there’s an opportunity here, if he wants, to set a few records straight. For the first 20 minutes he was a bit nervous really, and suddenly when we started to talk about the time around his departure he just went for it. It was quite amazing to listen to. It’s important to say he wasn’t making himself out to be blameless, just that there was a lot of stuff going on that people don’t appreciate. Did you have any ideas about what you expected from each person you spoke to? You have an idea of the route you wanted to take them down. For example, the reason I wanted to speak to Phil Thompson is he’s a link from the past to this decade, to explore what ‘the Liverpool way’ was. I think if you read that then the last interview (with Torres), people’s motivations had changed completely by the end of the decade. I had an idea of how I wanted to guide the interviews. There are some subtle themes in the book that I think people might appreciate. You just never know how open people are going to be. You try and explain what you’re looking for, that it’s their opportunity to give maybe a 5,000 word interview and get their take on their time at the club. For example, Michael Owen said to me at the beginning, ‘I can give you an hour’, and we ended up spending two hours together. When he got talking, he realised this was a good opportunity to get his message across a bit more. 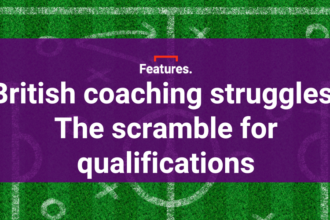 You can plan for an interview, but if you’re just looking down at your questions all the time, thinking ‘I’ve got to take it down this route’, you miss some different routes in. There is such a thing as over-planning for an interview – now, I might just have a few little notes here and see where it goes. I’m quite happy to be led by their train of thought. That’s what I liked about Andy Mitten’s book – it never felt like a pro-United book, it was just a book about United. I understand that Liverpool is a divisive club and not everyone likes them, but it’s certainly not written through the eyes of a pro-Liverpool person, it’s just a book by a journalist who’s asking questions of people who have interesting stories. Half the Parry chapter is about the set-up of the Premier League, stuff that hasn’t been covered until recently. He basically changed football, and it fascinated me how he went from that, to arriving at Liverpool, the club he supported, and ended up playing catch-up as a result of his reforms. In football people think everyone’s either good or bad – there’s no in-between, but sometimes people are just…alright. That’s what I always try and treat them like. Hopefully that’s reflected in their openness with me. At the time I can understand why people didn’t like Hodgson: he just didn’t fit the club really, his whole mood and manner and achievements just weren’t considered befitting of Liverpool. To be fair, Liverpool fans – when it comes to people who represent the club – are usually quite sharp as to whether they’re right for the club. I think they got that one right. You basically wrote two books at the same time, the other being ’61 Minutes In Munich’, the autobiography of Howard Gayle, who was the first black man to play for Liverpool. How did that come about, and what was it like writing two books at once? I wrote something about that for The Anfield Wrap. I actually started writing Howard’s book six years ago. Having sat down with him twice for Red Machine, at the end he said ‘How do you fancy writing my book? I’ve got a lot to tell you.’ It kind of dragged on, partly because we couldn’t get a publisher, and it was drifting – not necessarily because of the story, but I think any journalist will tell you they work better when they’ve got a deadline. About a year ago I signed a contract for Howard’s book, which coincided with the start of Ring Of Fire. I was about halfway through his book, and we had to get the other half down which was a challenge, because it was the half that wasn’t about Liverpool and involved a lot of work. It was about 30, 40 years ago some of the stuff he was talking about. It was a totally different process to my other books because obviously I was working with someone else, and I found it quite challenging at times. But I think he’s happy with the final version, which is the main thing. I was conscious that I didn’t want it to sound like me writing about him. Finding his voice was challenging, plus getting everything accurate and historically correct. Because he didn’t want it to just be about him, but also social issues in Liverpool, which was great and that’s what first attracted me to it. The biggest challenge for me was that I’m a young, white lad with ginger hair from the north end of Liverpool and he’s a 55-year-old black guy from the south end of Liverpool – we had totally different life experiences, so I could only try to understand what he’d been through. But I’ll never be able to fully understand it. He only played five games for them, and some people have reacted to it by saying ‘Oh, well, he’s a nobody’ – but he could have been a somebody had conditions been different in his life. Writing about things like that – that’s what journalism is all about, and if you have any issues with writing about sensitive issues then you’re in trouble.